You know that holiday recipe you whip up every. single. year? It’s time for a little whiskey remix. 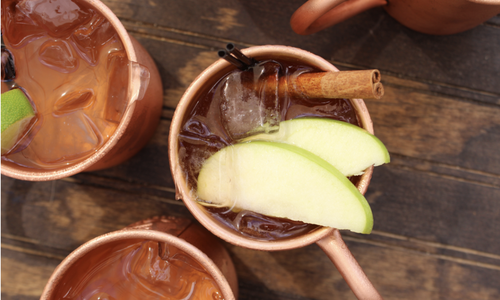 Turns out, the carb- and sugar-free alcohol is an ideal alternative to spices and salt. Let’s get cookin’. Nov 09 2018 at 11 a.m. The weather is getting colder, the liquor is getting darker and whiskey is becoming the drink of choice. It’s great to sip during holiday parties and even cozy nights in, but have you ever thought about adding some of it to your meals instead of your cocktails? You only need a small amount to make all the difference. So, why whiskey? Alcohol can actually improve the flavor of your meals, which is why beer and wine are common cooking ingredients. Turns out, whiskey makes for a great addition, too. 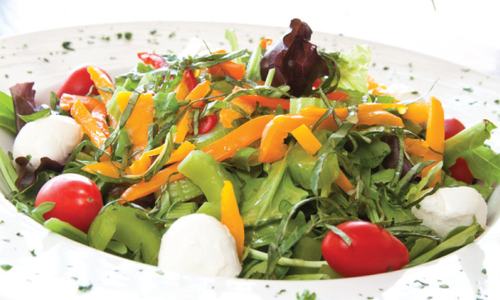 It contains no fat and hardly any carbohydrates or sugar, making it an ideal alternative to spices and salt. Whiskey mixes well with all types of meat, and when added to a marinade it helps season the meat to create a long-lasting flavor. For the best results, keep in mind that the darker the meat, the darker the whiskey should be. 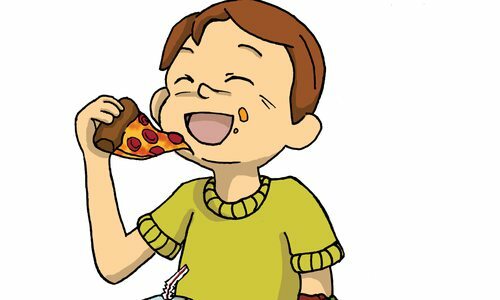 And remember, a little bit of whiskey goes a long way—don’t go drowning your meals in your favorite spirit. If you’re ready to take a leap of faith this holiday season and try it out for yourself, we’ve rounded up some of the best boozy recipes that are sure to be conversation starters at your holiday feasts. 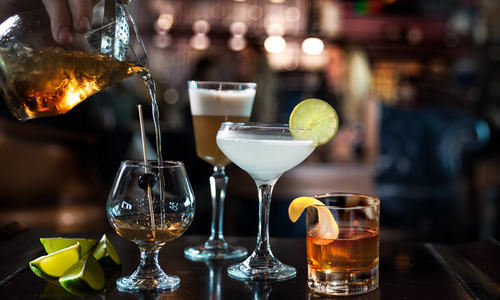 You can make all of them with help from the whiskey shelf at Big Whiskey’s American Restaurant & Bar. 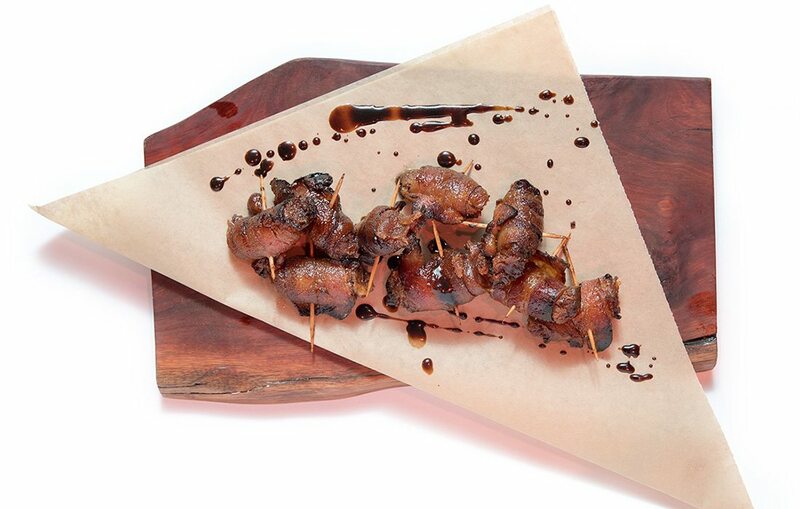 These mouthwatering bacon wrapped dates are pretty legendary in Springfield. Added bonus: if you aren’t hosting Thanksgiving, they’re super easy to transfer and serve up as an appetizer or side dish. Preheat oven to 350˚F. Remove pits from dates and add them, goat cheese and bacon grease to a mixer. Mix until all ingredients are well incorporated. For the sauce, add bourbon into a medium sized pot on hot. Whisk in the butter until melted, then add in the brown sugar and whisk until combined. Lay out bacon on a baking sheet, and bake for five minutes or until bacon is pliable. Spoon ½ tablespoon of goat cheese mixture on each strip of bacon, roll and secure with a toothpick. Bake in oven for 10 minutes or until golden brown, then pour the sauce all over them and finish cooking until bacon is completely cooked. 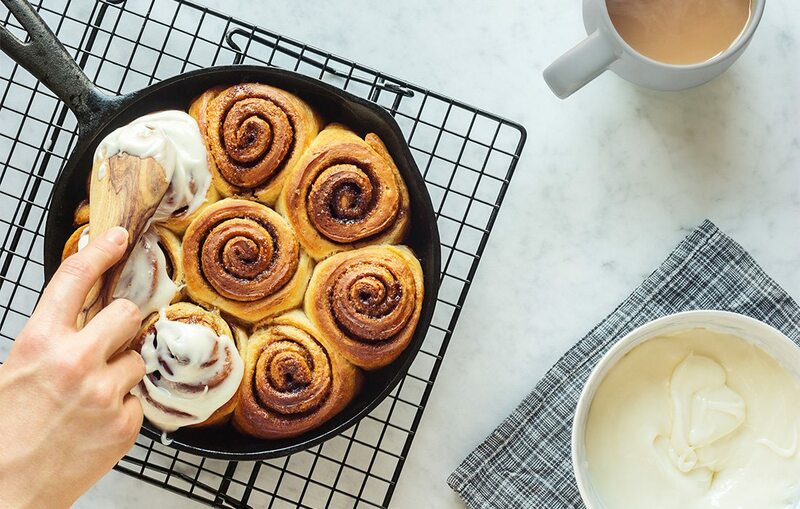 These cinnamon rolls are great for a Thanksgiving brunch or, whip up a batch for a cozy night spent next to the fireplace. Combine the warm water and a pinch of sugar in a bowl. Stir the yeast into the water and let sit and bubble for 5 to 8 minutes. In a large bowl, combine the sugar, salt, butter and heated milk. Stir everything together and then allow to cool to room temperature. Stir in the egg and flour one cup at a time until a very soft dough forms. Continue to knead for a few minutes. If the dough doesn't hold together, add another tablespoon of flour. Now place the dough in a lightly oiled bowl, cover and allow to rise in a warm spot for an hour or hour and half. Turn the dough out on a floured surface and roll out into a rectangle. Melt 3 tablespoons of butter and brush the butter all over the dough. Sprinkle on 1/3 cup sugar and 1 tablespoon of cinnamon. Roll up and slice into 12 pieces. Place the rolls in a lightly buttered pan and bake at 350°F for 25-27 minutes until the edges are brown. For the icing, whisk together 3 tablespoons milk, 1 tablespoon whiskey, 1/4 teaspoon vanilla extract and 2 cups powdered sugar and pour it over the warm cinnamon rolls. Impress your guests with this drink this drink made with a little extra love. This one takes some time to mature, so plan accordingly. In a large skillet, sprinkle brown sugar over bacon and cook until done. Pat bacon dry with paper towels and place in a large glass container. Pour in whiskey. Wrap container with plastic wrap and store in a cool, dark place for two weeks. Strain mixture through cheesecloth and transfer it back to the original bottle or in a decanter. 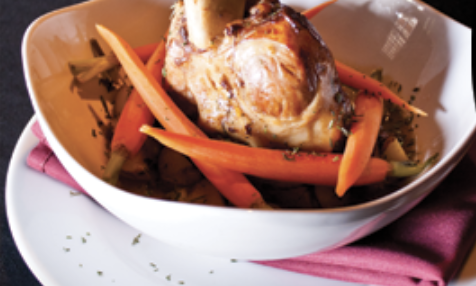 Set it and forget it—this recipe is perfect for overnight cooking. 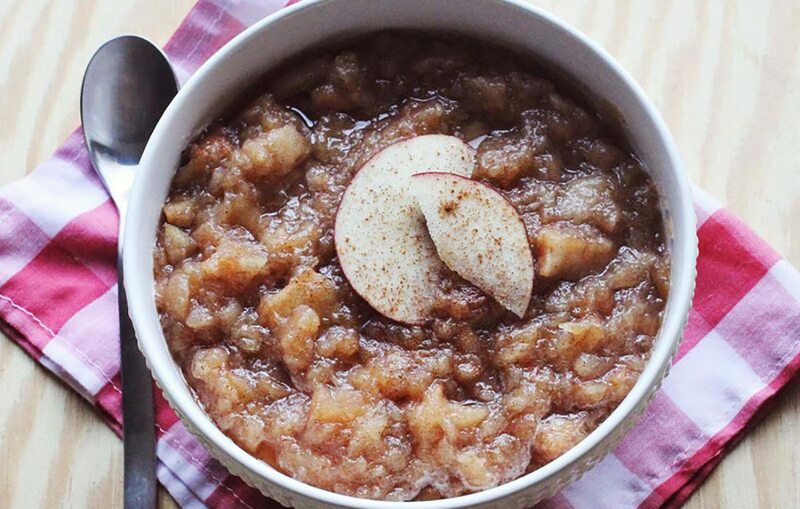 Whip out your crock pot and look forward to waking up to the smell of an apple-filled home. Peel and cut up the apples, then combine them with the rest of the ingredients in a crock pot. Cover and cook on low for 8 hours. 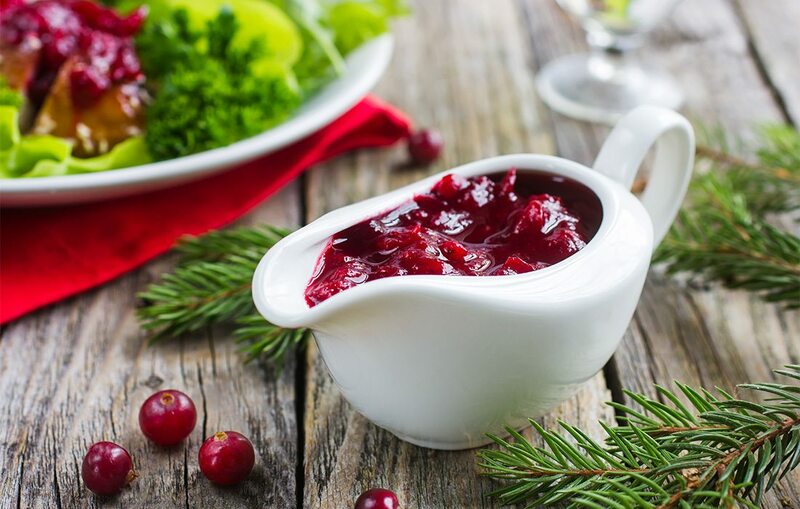 No Thanksgiving is complete without cranberry sauce on the table. 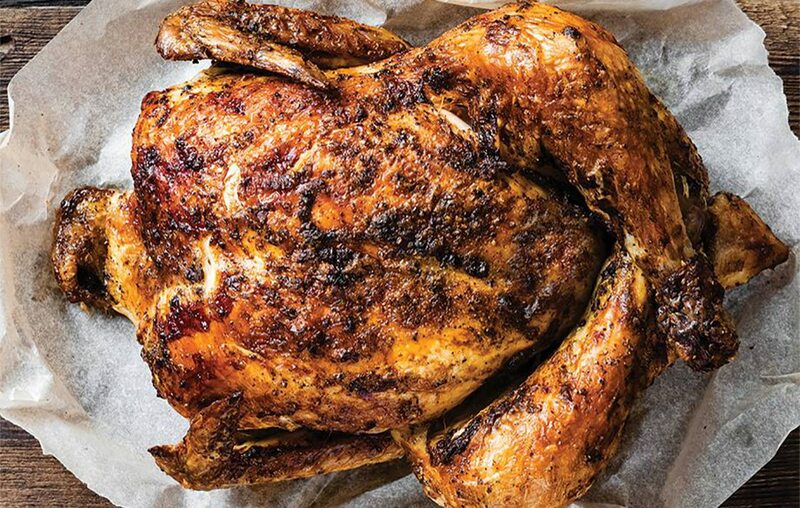 This recipe takes it up a few notches and makes the turkey day staple unforgettable. Put the cranberries, orange juice, brown sugar, granulated sugar and whiskey in a large saucepan and bring to a gentle boil over medium-high heat. Reduce the heat to low and simmer for 15 minutes. Add the blueberries and raspberries and cook for another 3 to 4 minutes. Set aside to cool, then transfer to a jar and keep in the fridge until cold and thick. 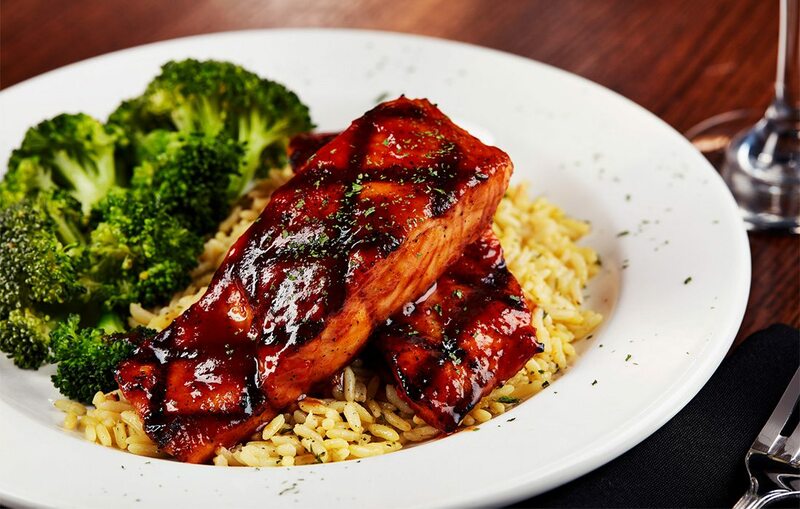 If you want to try something besides turkey this year, salmon is a great alternative, especially for guests that have dietary restrictions. The bourbon glaze adds an extra kick that’s hard to resist licking off the plate. Season and grill salmon to your preference. For the glaze, combine all of the ingredients in a small saucepan. Apply to heat and whisk together until reduced by half. Cool the sauce in an ice bath until less than 40 degrees. 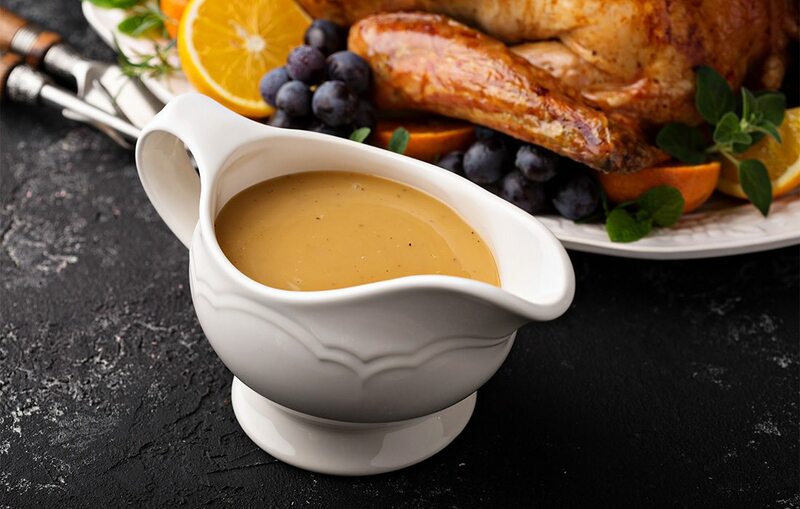 Dry turkey isn’t an option when you douse your Thanksgiving meal in this glaze and gravy. For the glaze, melt the butter over medium in a small saucepan until it begins to foam. Add in the sugar and honey, and stir until dissolved. Add the stock, cider, Worcestershire and bourbon; simmer at a low rolling boil until reduced to about 1/2 cup, 15-20 minutes. Let cool. For the gravy, melt a half stick of butter in a saucepan over medium. Add in pepper, flour, whiskey, and turkey drippings then the stock; simmer until it begins to get thick, about 5 minutes. Stir in Worcestershire sauce. 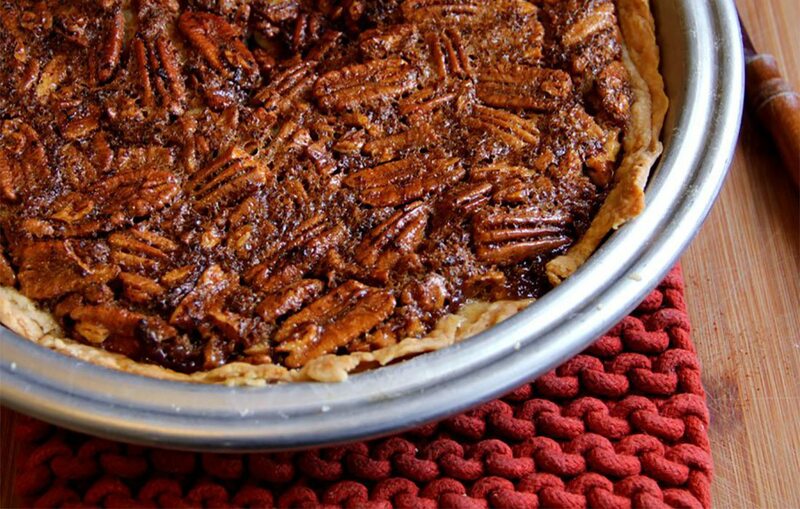 Sure, you’ve had pecan pie at every single Thanksgiving gathering, but have you ever tried one with bourbon? Now is your chance to try this boozy dessert that’s adored by Big Whiskey’s regulars. Simmer sugar and corn syrup in saucepan for two minutes until sugar is melted. Remove from heat and let cool. Mix eggs, salt, vanilla, melted butter and bourbon together in mixing bowl until smooth. Next, steam the egg mixture into the sugar mixture whisking vigorously (don’t cook the eggs.) Add pecans to the pie mix. Place pans with crust on the scale and zero the scale. Add 5 oz of pie mix to each pan and make sure to get enough pecans to cover the top. Place pans in the oven on a large sheet rack. Cook for 20-25 minutes until centers are liquid and do not move when you tap them. When finished, remove from oven and set aside to cool. Remove the pies from pans when slightly warm and cool completely before storing. 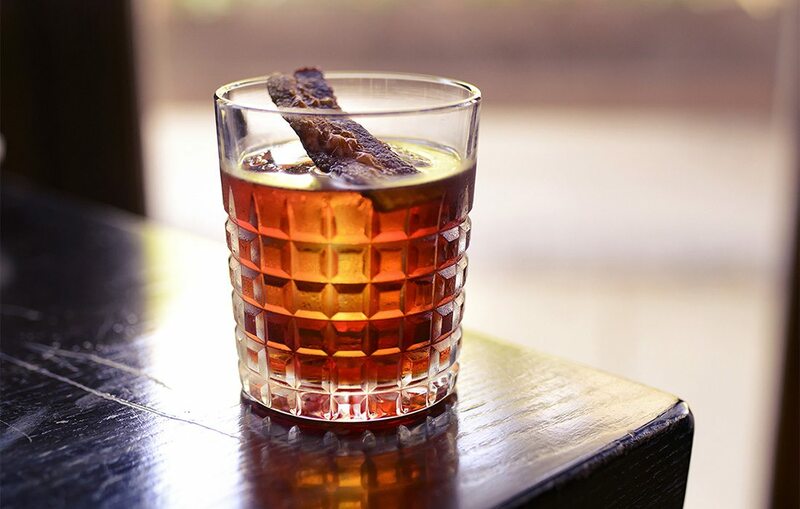 Warm up your winter at 417 Magazine’s Whiskey Festival. 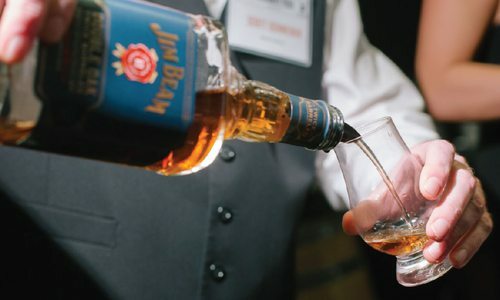 The eighth annual event is bigger, better and boozier than ever, with 200 whiskeys, bourbons and scotches, along with live music, exclusive private tastings and booze-inspired food. Whip up buffalo chicken dip with a kick, taters that would make Paula Dean proud and a drink that makes Turkey Day meal prep a little more bearable.